The temporomandibular joint, or TMJ, is the joint that connects your jaw to your skull. This joint works with the muscles of your face to allow you to chew, swallow, speak and yawn. Some people experience problems with their TMJ. Symptoms could include pain and tenderness, difficulty opening or closing your mouth, or a clicking or popping noise when you move your jaw. TMJ disorders can also be associated with neck pain and headaches. Injury or joint disease is usually the cause of TMJ disorder, however, tooth grinding or clenching habits can worsen your symptoms. There are several different treatment options for TMJ disorder depending on severity, ranging from relaxation techniques to a referral to a specialist. 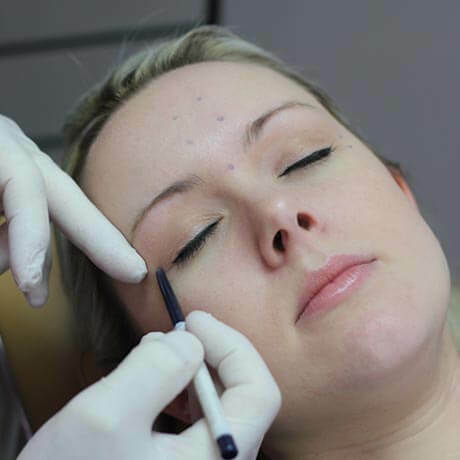 Grinding and clenching habits and their symptoms can often be managed and maintained with the use of night guards and Botox treatment as described below. Although Botox is usually associated with a cosmetic procedure, it can also be effective in preventing certain types of migraines. When you clench your teeth, you are contracting the muscles of your face and around your jaw joint. This chronic contraction can lead to severe headaches, neck pain, or migraines. Botox works by relaxing the muscles associated with your grinding or clenching habit. This causes the muscles to apply less force and helps to alleviate your associated pain. Not all migraines can be effectively treated with Botox. Migraines that feel like an inward pressure (crushing sensation) respond better to Botox than migraines that feel like an outward pressure (exploding sensation). Book a consultation to see if you are a candidate for Botox treatment - currently available at the Fort Frances Dental Centre. Your dentist may recommend a night guard to help manage grinding or clenching habits while you sleep. A night guard is typically made of clear plastic that fits over the biting surfaces of your teeth. This appliance holds your jaw slightly open to remove tension from the jaw joint and muscles of the face. It also serves to protect your teeth from damage, since you wear down on the guard rather than on your teeth.